Mahya Minerals recently asked us to review some of their mineral pigments for our beautiful readers, and of course we said yes! We love bringing you the latest in beauty and had not heard of these products yet, so we wanted to share them. 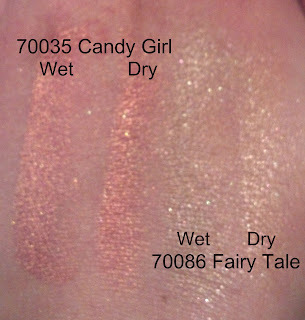 I found these to be very comparable in quality to Bare Minerals, which is a mineral makeup company that is popular enough to have become a household name. I really enjoyed using these, and I think they are much more affordable than Bare Minerals but still very high in quality. After playing around with these products for days I came up with my favorite eye look to share with you! 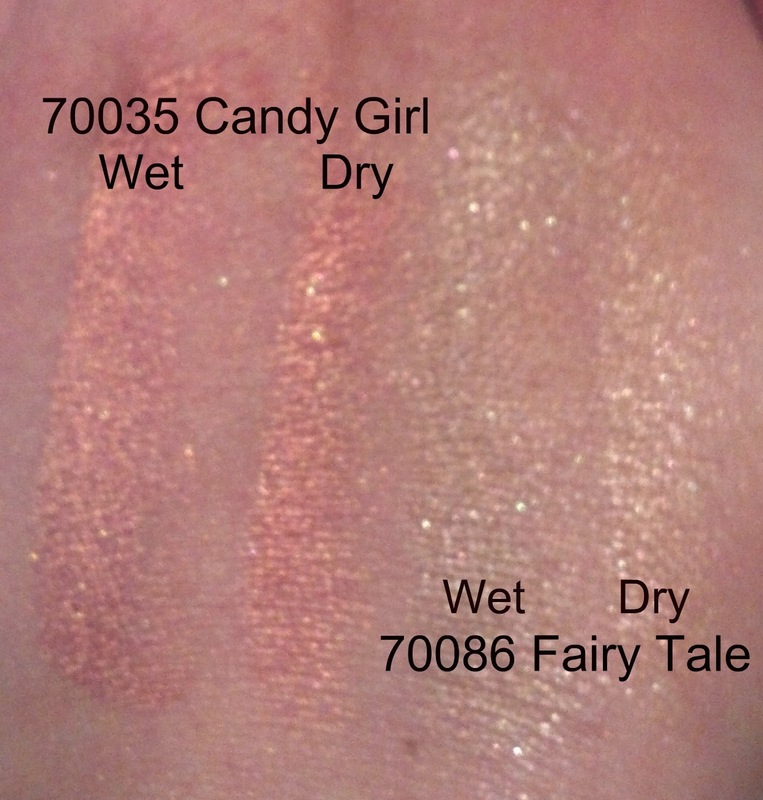 My favorite part is that you can wear these wet, or dry, or wet with a primer and get a different look each way. Please excuse my scraggly brows in the following pictures- I am growing them out after having had too much waxed off last time someone did them and they're getting a little long in a few places! 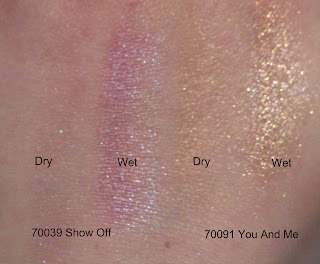 I have applied "You and Me" to the whole lid, and used a big fluffy brush to apply "Show Off" to the crease. I applied both shadows wet. These colors are even more beautiful in person. As you can see, the color is really hard to build when dry, but it goes on beautifully when wet. 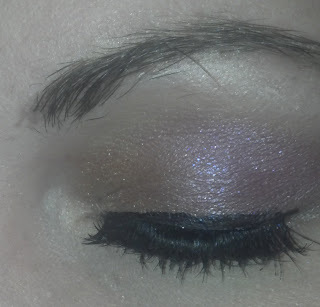 For this eye look, I didn't even use an eye primer. Just applied them wet straight to the lid! 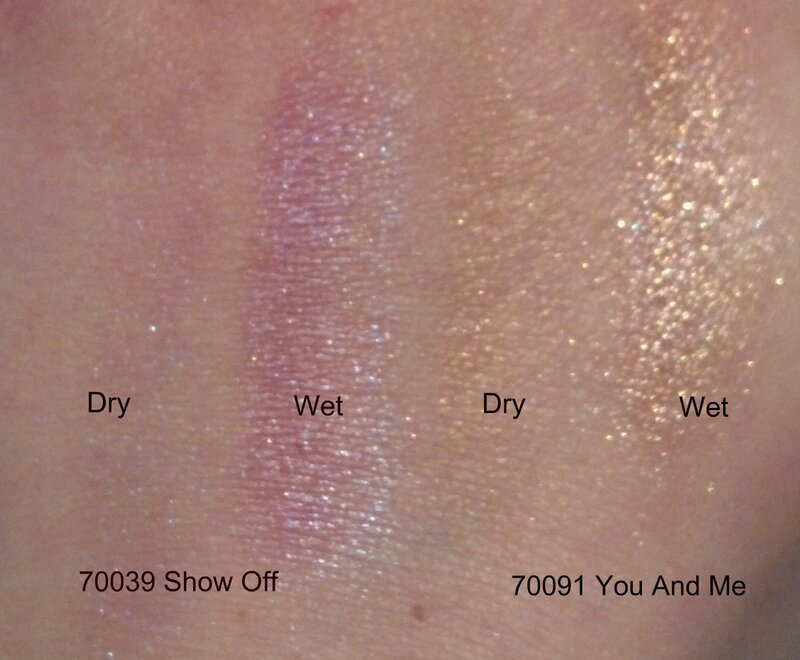 My swatches really don't do them justice. 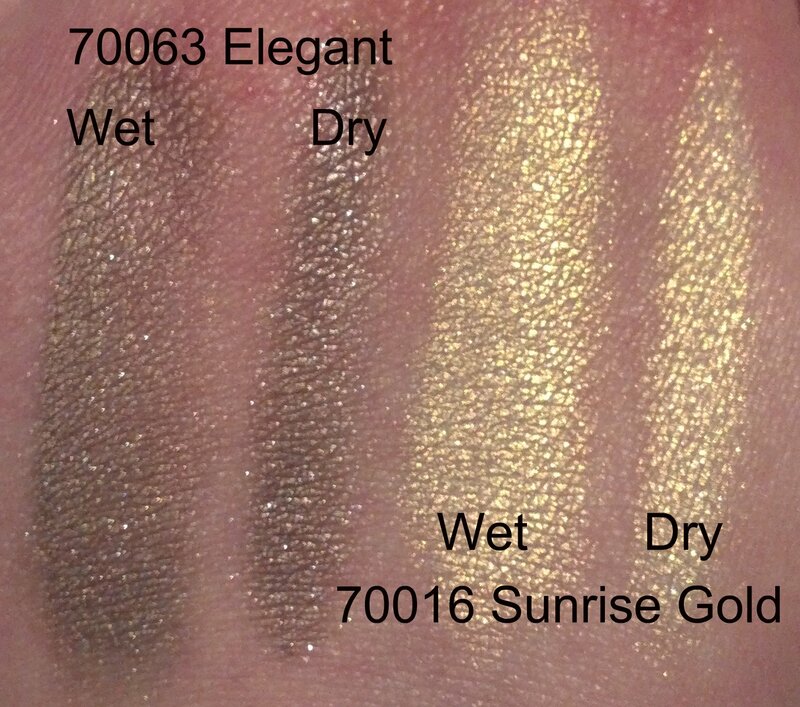 It's hard to capture how beautiful and shimmery these are in real life! 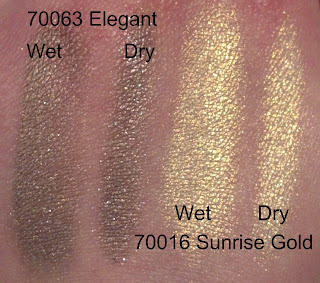 All of Mahya Cosmetics' eye shadows are $11.99 on their website, which is a hard price to beat considering how much comes in one of the pots. I will be featuring their blushes and face powder as well as some more eye looks in my up and coming FOTD posts. I can't wait to share more of these great products with you all!